I hope you’re having a nice weekend. Here’s this week’s 200 word idea thanks to Mastery by Robert Greene..
Louis Pasteur spent years arguing for the fact that diseases are caused by germs. This was contrary to the view at the time so he needed data from multiple experiments to prove his point. While experimenting with germ theory in 1879, he began researching cholera in chickens. However, his work got interrupted and he left the cholera cultures untouched for several months. When he found his cultures again, he injected them into chickens and was surprised to find that they all recovered easily from the disease. Here’s what is amazing – Louis Pasteur was not the first person to see this occur. Many doctors had witnessed similar phenomena but, since this wasn’t what they were researching, they ignored it. 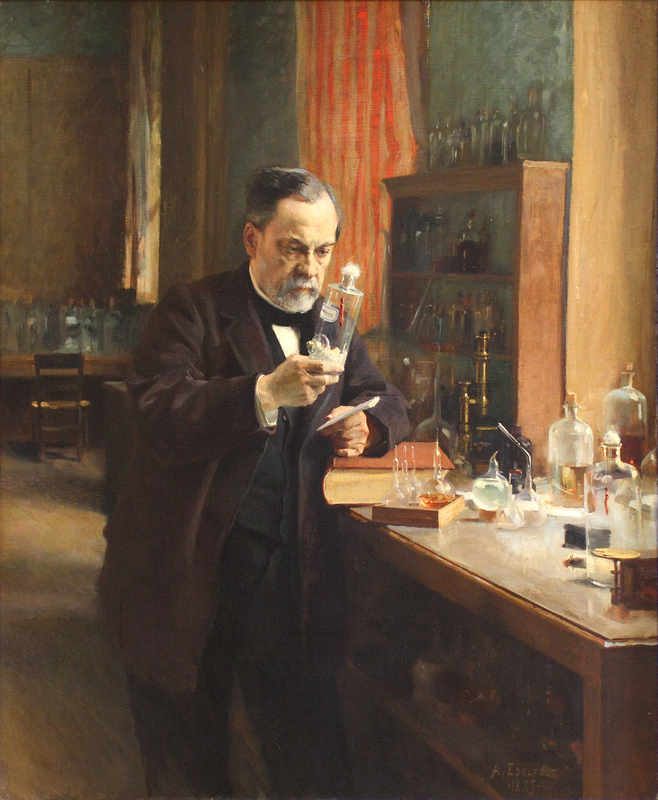 Pasteur, however, dug deep and experimented with old and new cultures. A combination of his broad understanding of the sciences as well as a willingness to be open to new ideas led him to a ground breaking discovery – vaccination. As masters have repeatedly demonstrated, preparation, openness and opportunity go together. As I’ve written here, I don’t generally watch videos of talks as I think they’re largely a waste of time. However, Ben Horowitz is an exception. Every bit of content I’ve read or watched from him has been incredibly high quality. His blog is fantastic and his book, The Hard Thing about Hard Things, is the closest I’ve seen a book come to an entrepreneur’s bible. So, I did what a fan would and jumped on watching this 16 minute video during breakfast yesterday as I just expected it to be really good. And, it was. These are my three lessons from his talk. 1. Think for yourself because you add value to the world when you bring to life a belief that no one believes to be true. This was the story of Brian Chesky at AirBnB. He believed that we would rent a mattress in our home to strangers. While most people thought this was absurd as you could be housing a serial killer, he did 2 things. First, he ran an experiment at home and it turned out to be just fine. Next, he dug into why hotel chains exist. He soon realized that hotel chains are a fairly recent invention. In the old days, people stayed at inns. However, these inns had too much variability as you could have some very bad experiences at some inns. He realized that, with the internet, information and reviews could make this transparent and enable people to choose well. It is that insight that’s led to a company valued over a billion dollars. There are still issues but you have technology available to you as a tool for change. But, if you contribute and think for yourself, you will be the generation that unlocks human potential. Fantastic, as always. Thanks Ben. The other day, my wife and I booked a ticket for the last show of The Avengers. We were, however, exhausted that evening. So, when it came time to leave for the movie, we realized we weren’t in any mood to sit through a movie. As we were wrestling with the idea of trading in $20 for sleep, I decided to give Cinemark a call and explain the situation. After doing so, I asked them if they’d be willing to allow us to use the ticket for a different movie. “No ask, no get” is an ingrained lesson now. But, I have to admit – the results of just asking what often seems to be an outlandish question still keeps surprising me. PS: Thanks Cinemark! I’m sure it only applies when movies aren’t running full. But, they’ve acquired a new loyal customer. The more you find a leader stressing his title, her opinion or simply the fact that he is in charge, the more you can be sure that the team or organization is suffering from a failure in leadership. When that happens, you also know that the leader in question is operating under a false assumption that the people she leads work for her ( I call that “the boss paradigm”) . That couldn’t be farther from the truth. Your only job as a leader is to create an environment for everyone on your team to be their best selves. At every step, you work for them. True leadership stems from what you do and how you do it. And, a big part of what you do is to help everyone working with you. Things that help this cause are consistently playing janitor, cleaning up, never being the bottleneck and just being helpful. Things that don’t are a continuous propensity to show authority or take credit. If it isn’t obvious as yet, it is, of course, all about the process. Great leadership isn’t about what you achieve with your team. It is how you get to where you go. And, great results follow great processes. A friend sent me this image (thanks Pixshark) a few days ago. Thanks RB – this sums it up. One of the challenges with attempting to ship a blog post every day is getting comfortable with “good enough.” Every once a while, there comes a day when I feel very pleased with the post of the day. On most days, however, it is just a struggle to get something “good enough” out of the door. As I write this, I realize I make it sound like I was a recovering perfectionist. That wasn’t the case either. It is just that, when I imagined myself writing on a public blog, I imagined a thought-through blog post edited to perfection. Now, I’m just comfortable with the fact that, on most days, the grammar isn’t perfect and that the sentence construction could have been better. Good enough. That is the trouble with not shipping. It makes you chase ideas like perfection that make it impossible to ship. It takes away all attention from the stuff that actually matters – learning to write, learning to observe, improving your creative process – and focuses it on stuff that doesn’t – perfection, adulation, etc. It results in too much pressure and makes it easier to do nothing. It just feels safer. But, it isn’t of course. Good enough is what sheds light on the way forward. We only get better with practice. And, we need to practice with good enough till our good enough today becomes the perfection we sought yesterday. Take a look at a long task list at the end of your day. And, you’ll find the following set of emotions accompany you – hopelessness, pessimism, negativity and discontent. If you force yourself to work on that list, you could sit for a good few hours and find yourself stuck on task #1. Take a look at that same long task list once you wake up the next day. This time, you’ll likely find that hope and optimism appear. And, with that hope and optimism, you’ll get to work on that list. Rearrange it, start with a few quick wins, postpone the low priority items and, before you know it, you’ve built momentum. The task list didn’t change. Your perspective did. The same long task list that looked insurmountable became doable. When complaining about their inability to get things done, most folks point to a lack of time. But, as this example illustrates, all the time in the world wouldn’t have helped you that evening. All you needed was rest. Manage your mental energy well and you’ll find yourself amazed at how much an energized mind can accomplish. Manage your mental energy by resting your mind, exercising it (reading to it, challenging it by taking on tough problems) and providing it the right kind of fuel. Sure, learn how to use time well. But, spend your energy managing your energy. It is that skill that separates the masters from the professionals.